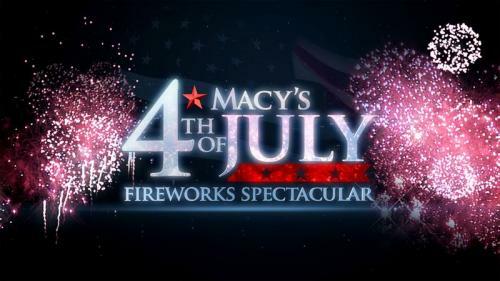 NBC’s annual “Macy’s 4th of July Fireworks Spectacular” celebrates the nation’s birthday with all-star performances from Dierks Bentley, Kelly Clarkson, Brad Paisley, Flo Rida and Meghan Trainor. America’s most spectacular party will take place from two locations on the East River in midtown and within the South Street Seaport district. Adding a second location this year will provide even more dazzling pyrotechnics as the 39th annual Macy’s 4th of July Fireworks ignite the New York City skyline. The show will be fired from four barges positioned between 23rdand 37thstreets in midtown and from one double-barge positioned below the Brooklyn Bridge. Emceed by “TODAY” show co-hosts Willie Geist and Tamron Hall, the show will air Saturday, July 4 (8-10 p.m. ET/PT) with an hour long encore presentation at 10 p.m. In honor of this year’s bravery theme, the presentation will include more than 50,000 pyrotechnic shells and effects during a 25-minute synchronized display. New shells and effects include multi-colored transformation ghosts, blue and red octopi, crescent moons, patriotic stars, double hearts, roaring dragons, screaming banshees, purple rain, and spider webbed shaped shells. The show will combine these mesmerizing effects in 22 different colors, including new neon highlighter yellow, green and pink. Lachman’s credits include a variety of NBC specials, including the “Macy’s Thanksgiving Day Parade,” “Christmas in Rockefeller Center,” in addition to the last four years of “Michael BublÃ©’s Christmas Special".